Hooray! It's Book Fair Time! I don't know about you, but I love when our Scholastic Book Fair arrives and I love when our book fair is packed back on the truck and leaves. 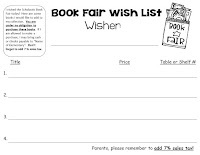 ;-) The fair generates so much excitement at school with both staff and students asking when they can start previewing and shopping and I am thrilled about adding new books to our library collection. By the time book fair week is over, I am completely exhausted and am usually falling asleep on my couch by 7:30 pm. It's so worth the extra time and effort you put in, though. Introducing the book fair to my Kindergarten students has always been a bit tricky. "Do I have to return the books to the library?" "What's a wish list?" "What if my parents don't give my money?" are questions that always keep popping up year after year. The students always enjoy watching the Scholastic Book Fair preview video. I always schedule viewings during media classes they week before the fair starts. 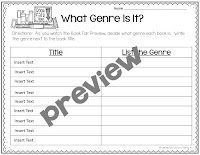 I wanted to make watching the preview video a bit more "educational", and tie in grade-level reading curriculum. I wanted to do the same with students when they were looking at the book fair catalog that is included in the planning kit. 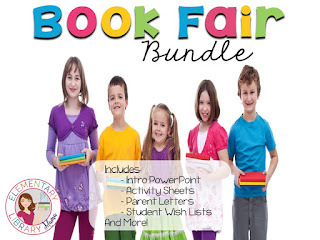 This bundle includes a 16-slide PowerPoint to introduce your younger or new students to the book fair. There are nine different activity sheets for students to complete. 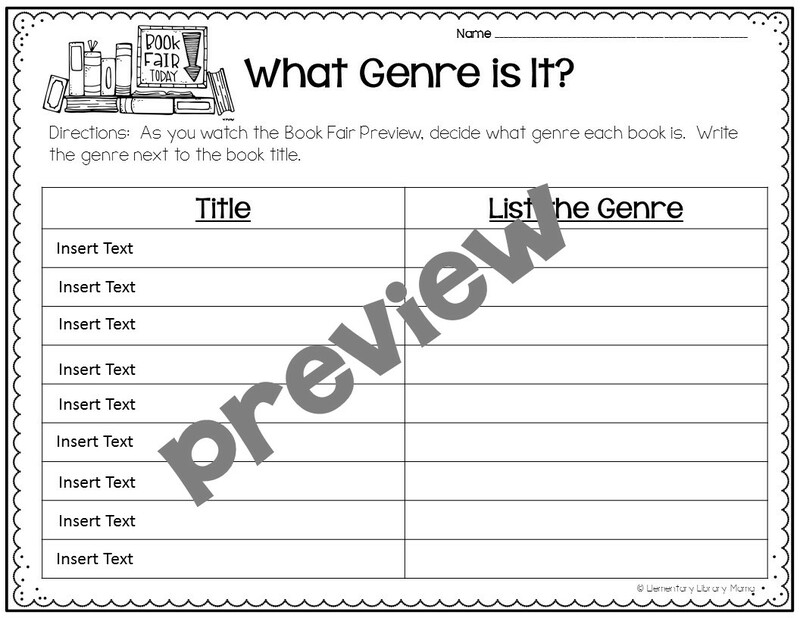 Some were created for the book fair preview video and some are designed to use with the book fair catalog. 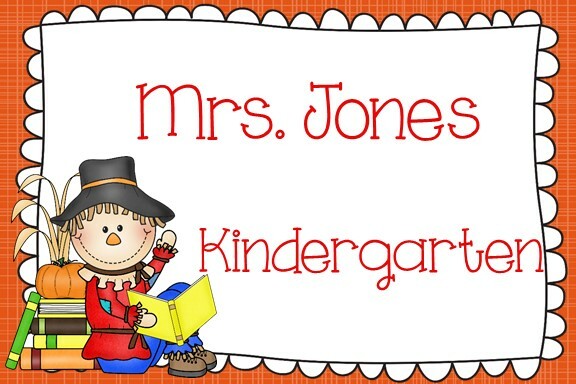 I've also included parent letters and student wish lists that I use. The text is completely EDITABLE. Customize it to suit your needs. 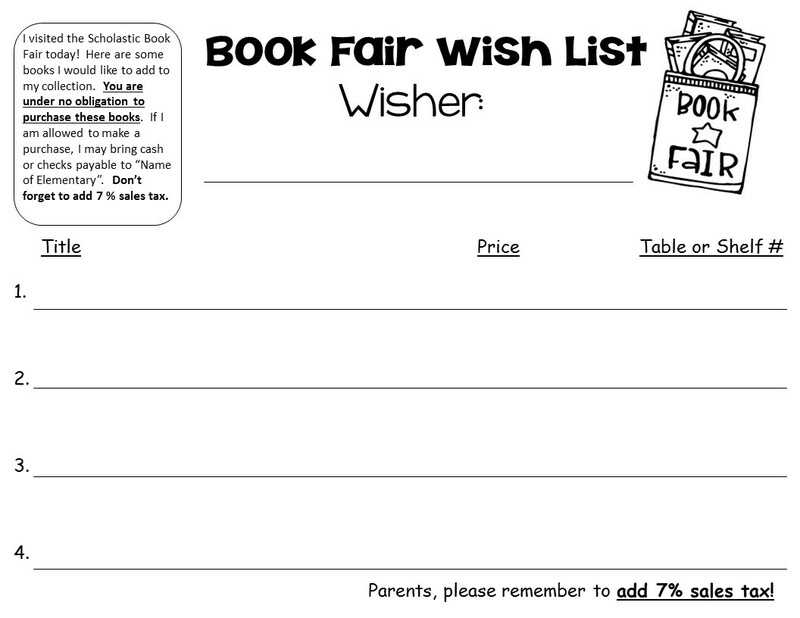 I always felt that the wish list templates that Scholastic offers on their book fair chairperson's tool kit did not provide enough writing space for my K-2 students, so I created my own. Finally, I made labels for you to customize with the names of your staff so you can make what I call "Wish List Bins". Teachers love being able to select books that they would like for their classrooms, put them in their bins and let parents pick and choose the ones they'd like to purchase and donate! 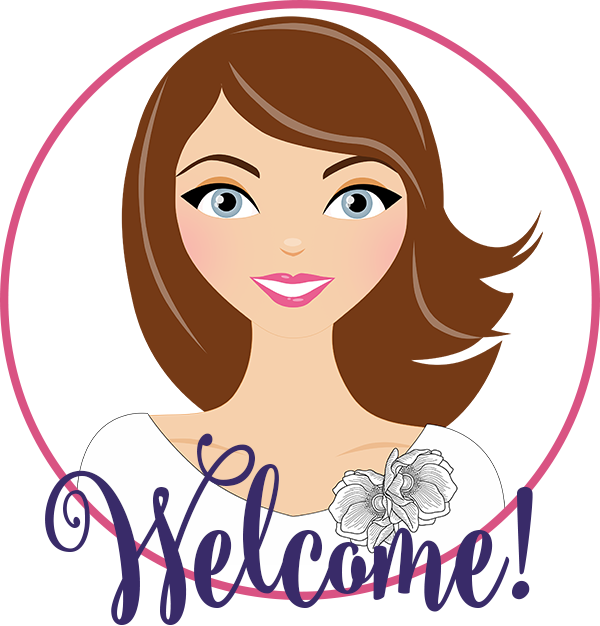 I created fall, winter and spring label, depending on when you hold your book fairs.